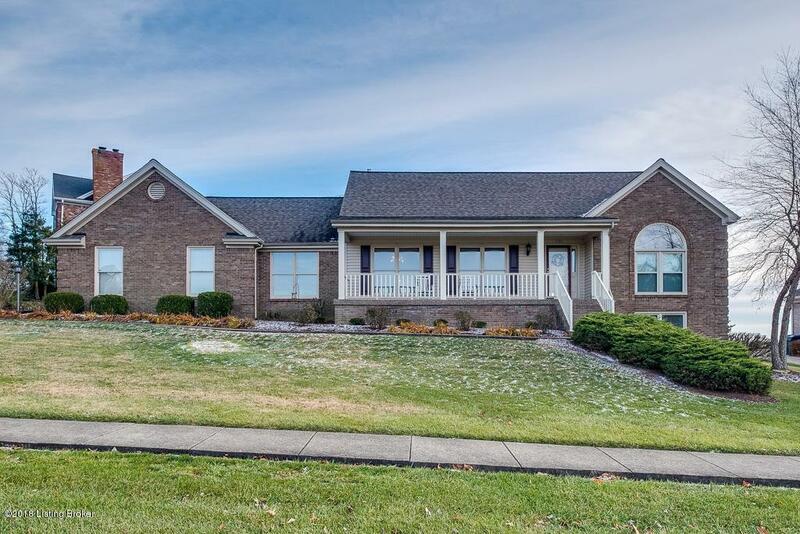 3900+ Finished square feet of living space awaits in this Oldham County home!!! The main living spaces, bedrooms, unfinished storage, rear deck, and yard are all generous in size. Four of the five bedrooms in this home have en-suite bathrooms. One of the many coveted features in this home is great entertaining flow. The front living room flanks the formal dining room which opens up to the large kitchen and breakfast room, and beyond is the spacious great room. Soaring vaulted ceilings and two arched windows compliment the fireplace in the great room. 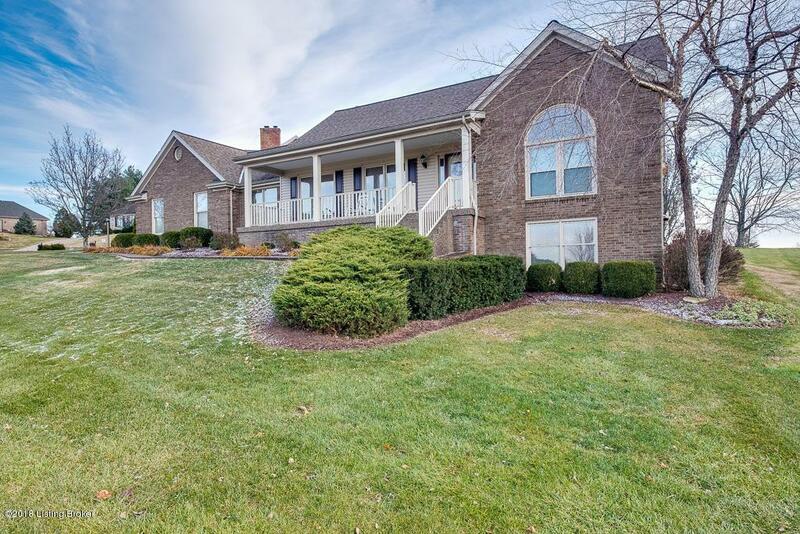 The rear deck is accessible directly from the great room offering great entertaining flow. 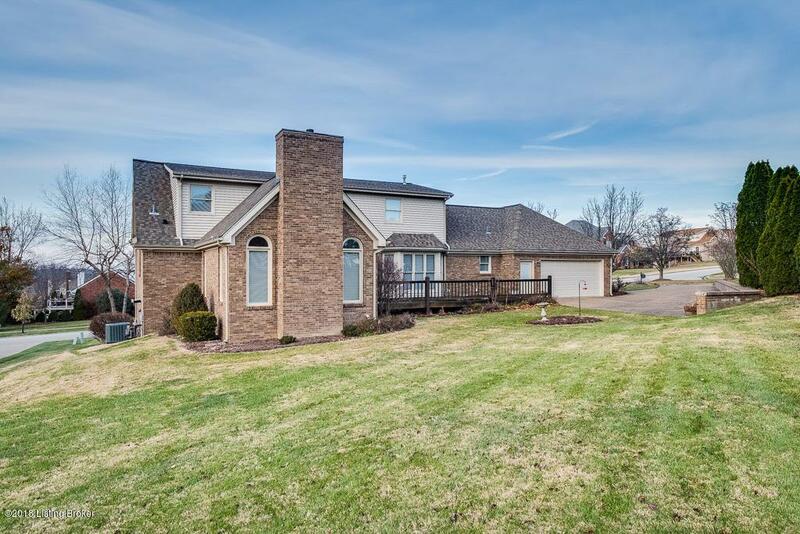 The beautiful lot backs up to Eagle Creek Golf Course. A side entrance through the court leads you (continued)>> up to the deep, rear facing two and a half car garage. The master bedroom offers a large en-suite bathroom and walk-in closet. Another two bedrooms on the second-floor feature private vanity space on each side of a Jack-and-Jill bathroom. A fourth bedroom on the main level has access to a full bathroom across the hall. This room can also serve well as a home office. In the lower level, you'll find the fifth and final private bedroom also with an en-suite full bathroom. An impressive amount of finished living space with tall ceilings and additional unfinished room can be found in the lower level. 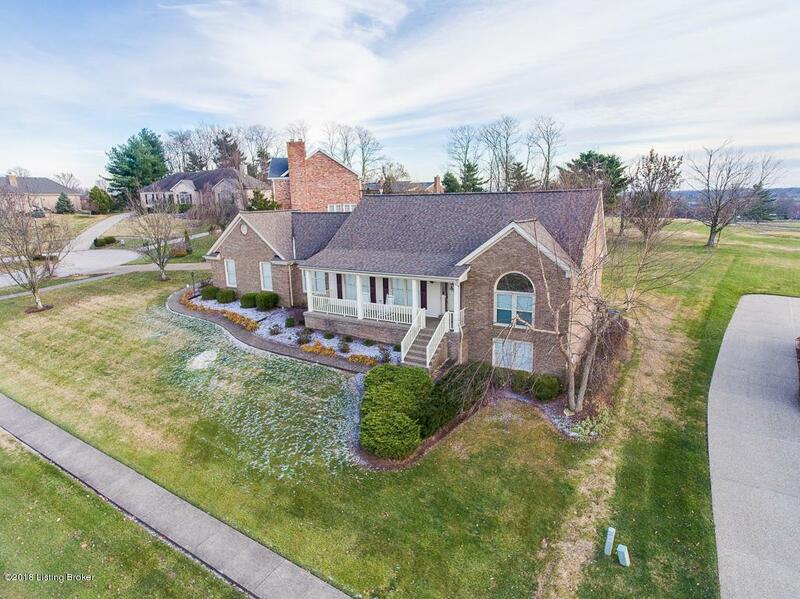 All this located conveniently in La Grange, with nearby access to Award Winning Oldham County Schools, Historic Downtown, and with quick access to I-71. Bedroom Remarks Large Bedroom With Private Bath. Formal Dining Room Remarks Chair Rail And Crown Moulding Accents. Full Bath Remarks En Suite Bath To Lower Level Bedroom. Kitchen Remarks Abundant Cabinetry/Counter Space. Laundry Room Remarks Convenient First Floor Laundry. Living Room Remarks Flanked By The Foyer And Dining Room. Master Bathroom Remarks En Suite Master Bath And Large Wic. Master Bedroom Remarks Spacious W/ Tall 10'6 Trey Ceiling.